3 How did we do it? Our working relationship with the popular attraction, Drusillas Park, has been both rewarding and successful. SEO for zoos and theme parks is different in many aspects to a lot of SEO, though many principles of general SEO apply. 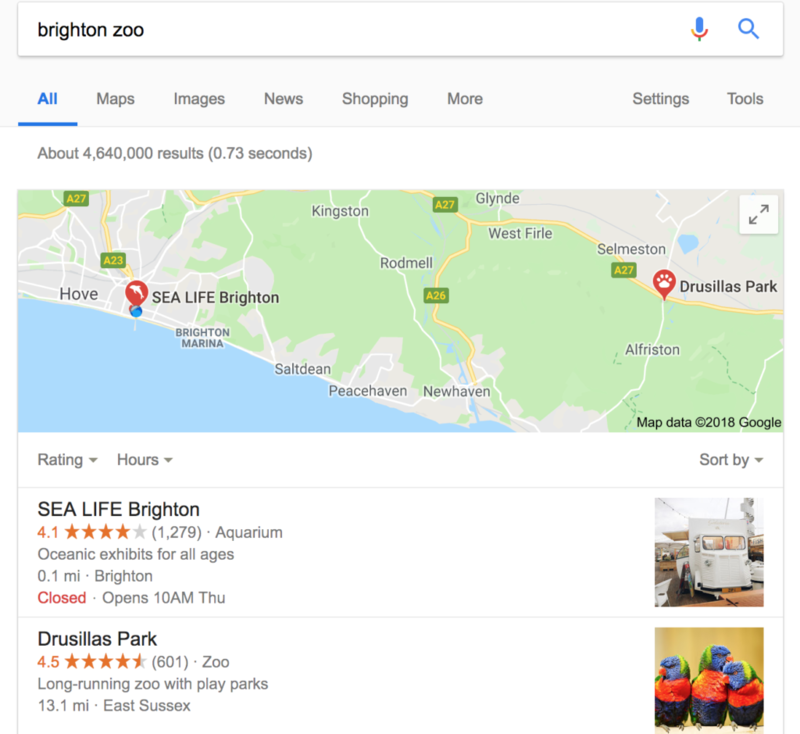 Most popular zoos and theme parks have had multiple different SEO teams over the years and it is essential to understand what activity has been carried out. Ranking in this space means competing nationally against other zoos and theme parks. It also means competing against other local attractions. 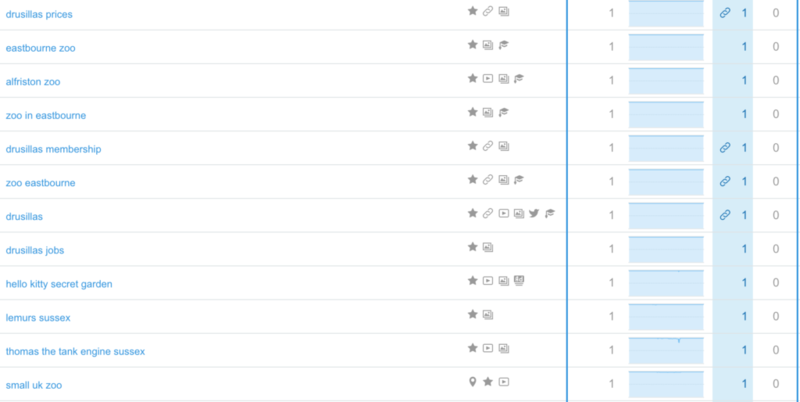 For us a big goal was sustaining keyword rankings through each and every Google update. To do this we have had to keep on top of every update and ensure our client develops inline with Google’s vision. The 2nd from far-right column shows the position Drusillas rank for the keyword as of March 2018. Keeping on top of Google’s ever-developing algorithm, we have had to navigate our client away from slowly being pushed down and instead holding strong through the changes. One of the key moments was migrating to a secure domain (https) from http non-secure. Following this we recommended that the business should get one responsive website, instead of a separate mobile and desktop site. Supporting through this to minimise ranking losses was challenging and very worth while. Getting Google presence for themed attractions that our client has at their zoo has been essential. 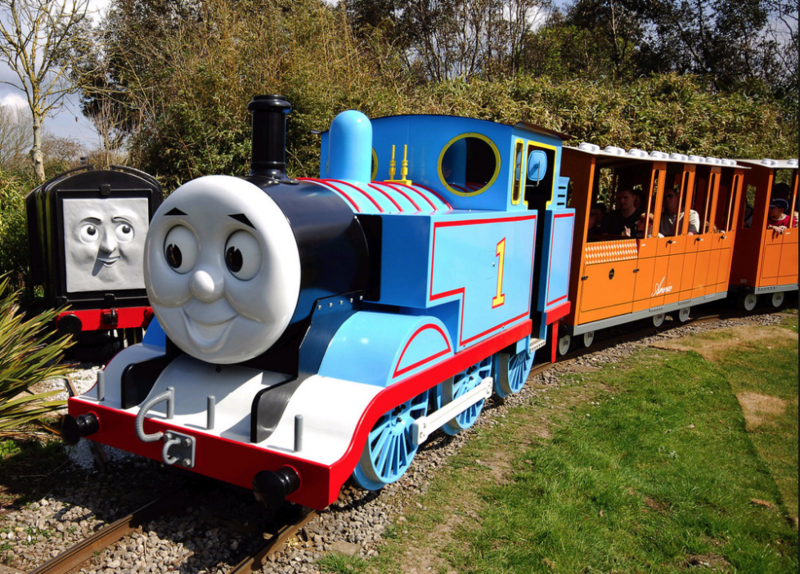 Our challenge has been to ensure that attractions such as the Thomas the Tank Engine experience and Hello Kitty are highly visible in Google. We have continuously carried out keyword research to understand what each and every page on the website should be targeting. This has meant editing the pages’ title tags, h tags, meta descriptions, text content and alt tags in order to rank high for certain keywords. Good SEO also meant looking into getting traffic from keywords that our client would not be able to rank for. Google decides which type of sites should rank for certain types of keywords. In this case we found that the ever-popular search terms such as ‘things to do in Sussex’ were not a viable option for our client. For these types of keywords Google will rank high quality tourism websites (often called aggregator sites) where multiple attractions are listed, rather than just one attraction. To react to this we had to analyse the performance of all of the tourism websites which ranked for relevant keywords that we can’t rank for. We then had to decide how to approach these sites to secure presence on their web pages and reap the rewards of this traffic. We have also worked on saving our client money on their advertising spend by carefully analysing the traffic and conversions generated from the portfolio of advertising sites they are listed on. As well as this, we have routinely been studying the organic presence of these sites to ensure their Google presence matches the prices they are charging our client. Another indispensable tactic has been the use of Google My Business. We have helped our client rank in Google with their Google My Business listing by providing them with recommendations.